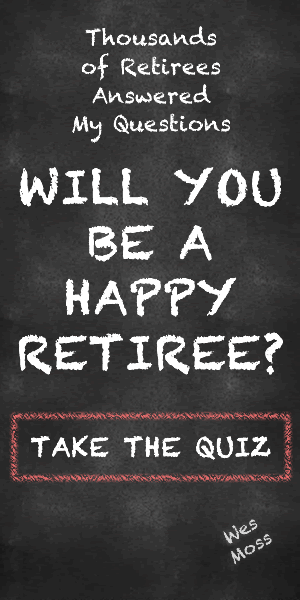 Retirement is the perfect time to get creative. When your time is all your own, you have the luxury of turning your focus to things that inspire you and ignite your imagination. Maybe you’ve had an idea for a new product on your mind for years. Or, maybe a novel and exciting innovation came to you just recently. Whatever the timing, many folks have creative concepts on their minds that they’d like to bring to fruition. Now is a great time for individuals to express their “creative intelligence.” Our modern world is marked by technological and digital advances that put the opportunity to innovate at our fingertips. We have more access to the knowledge, talent, capital and consumers needed to create a start-up or movement around our next great idea. Still, breaking through the barrier from concept to creation remains elusive for many would-be inventors and innovators. Recently, the Harvard Business Review tackled this very problem. The publication suggested five steps that creative people should take to help launch their next big idea. If you’ve been frustrated by the process of turning your dream into reality, take a look at this list to help get refocused, reorganized and recommitted to your innovation. 1. Look at your idea with a fresh set of eyes. It’s critical to look at your idea through a new lens, and ask yourself what problems with its creation, usefulness or implementation you may have overlooked. Thinking outside the box goes a long way in this process. 2. Expand your understanding by stepping back for perspective. Once you’ve zoomed in for insights about a challenge, need or other situation, the Review suggests you then fight against biases that might “encourage you to accept the issue as presented and rush into problem-solving.” Counter this tendency to frame your issue only one way by pulling out for a different perspective. Ask yourself tough questions about your innovation when you think you’ve thought of them all – questions like “What if?” and “Why not?” help you really explore your dream creatively and fully. 4. Use experimentation to improve rather than to prove. It goes without saying that if you test smarter, you’ll learn faster. Make sure that you set up your experiments intelligently and with the goal of “turning a promising idea into a workable solution that addresses a real need.” By doing so, you’ll hopefully avoid the dreaded duo of experimentation: confirmation biases ( the tendency to interpret new evidence as confirmation of your existing theories) and the sunk cost effects (or the tendency to continue working on something that clearly isn’t working). 5. Navigate to avoid being shot down. You can’t bring an idea to life unless you fully believe in it. But don’t let that confidence, and your “overfamiliarity with the context,” lead you to underrate what you need to do to clear obstacles and get supporters behind. You have to fine-tune your promotion and delivery of your dream to the people or institutions that will make or break it. Do this by using the same original thinking that you used in developing your innovation to build your business model. “Creativity is a journey of sensemaking,” says the Review. Use these five elements to your advantage to make sense of the innovation to market process. If you do so, the chances that your creation will become the “next big thing” will be all the better.